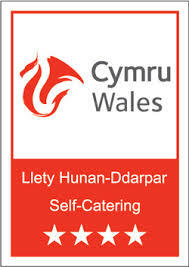 We can offer you a wonderful opportunity for holidays in the lovely Welsh countryside, where you can experience life on a real working farm. We rear Charolais sucker cows and a flock of Texel Welsh ewes. 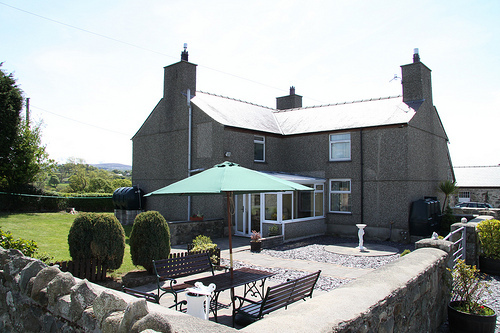 Stay at our farmhouse Bed & Breakfast (Llwyn Mafon Isaf) near Criccieth with views of mountain and sea, or choose our Self Catering farmhouse (Cefnwerthyd) located in Bontnewydd 2 miles from Caernarfon with views of the Caernarfon Castle and Snowdon. 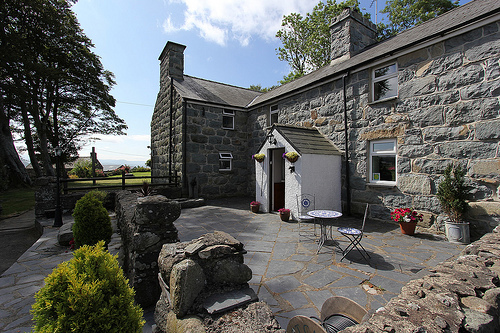 Llwyn Mafon Isaf is a peaceful and comfortable holiday on our 350 acre working farm, overlooking Cardigan Bay and with panoramic views of the Snowdonia Mountain range. 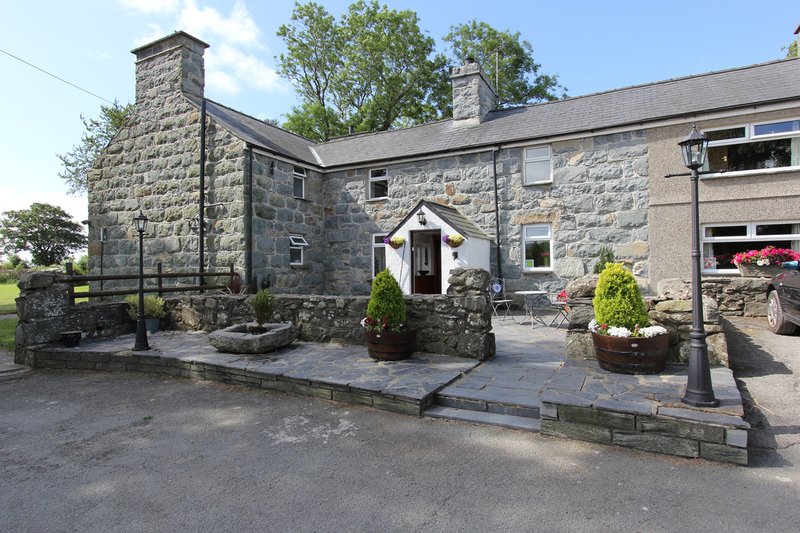 A beautiful farmhouse set within its own farmyard, 2 miles from Caernarfon situated in the village of Bontnewydd ideal for exploring Snowdonia, Anglesey and the Lleyn Peninsula. The house is warm and cosy with everything you might need. Lots to see - we had a great week. Thank you for a wonderful and peaceful week, The farmhouse is perfect and we can understand why they say the kitchen is the heart of a home! (Daisy was also impressed with the dolls and the dolls house)! The house cosy and warm, water hot - nice to come home to. Welcome basket, welcome and enjoyed! Rayburn - what can I say cooked a chicken and Welsh Lamb leg to perfection!! We've had a fantastic holiday. The house and location were perfect - a real contrast to Barcelona. We hope to come back soon. What a womderful place for a stay away! We had great nights playing cards by the fire. Food at the local pub very good as well. A lovely place to spend New Year - very warm and cosy! We have enjoyed ourselves very much! 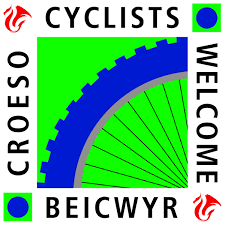 Our first visit to North Wales, Thank you for making us feel welcome! Thank you for a lovely stay. We were made so welcome, we will try and come again. We've very enjoyed our visit to Snowdonia. Thank you so much for all your great kindness.